You are here: Home / Celebrity Events / Jake Miller, Christina Grimmie & More To Perform At The Rose Bowl In L.A.!!! Jake Miller, Christina Grimmie & More To Perform At The Rose Bowl In L.A.!!! Hey L.A.!!! 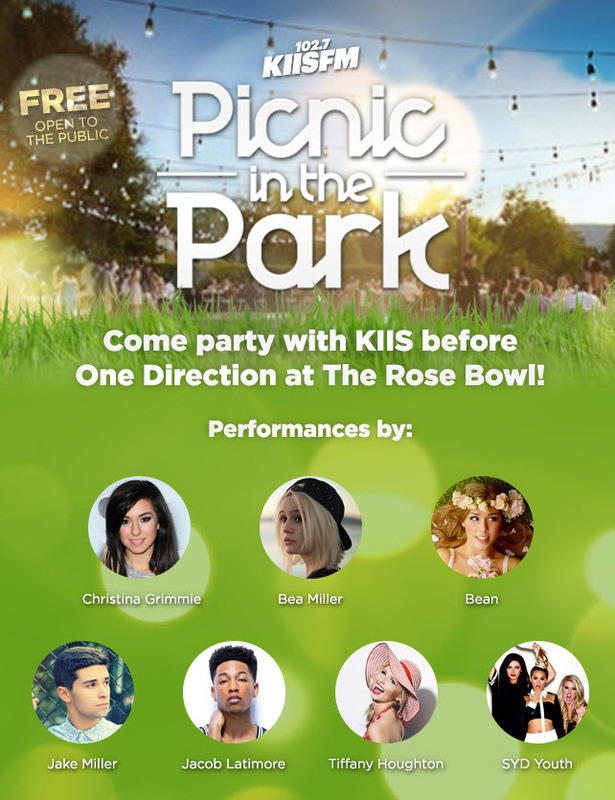 Get ready to party with KIIS FM in L.A. from September 11th – 13th before One Direction takes the stage at the Rose Bowl! You will enjoy live performances from some of your favorite artists for FREE at the Picnic in the Park event taking place directly at the Rose Bowl! All performances begin at 2 pm so check out when one of your favorite artists will be performing below!